This mid fat is the ultimate shape for skiing all over the mountain. 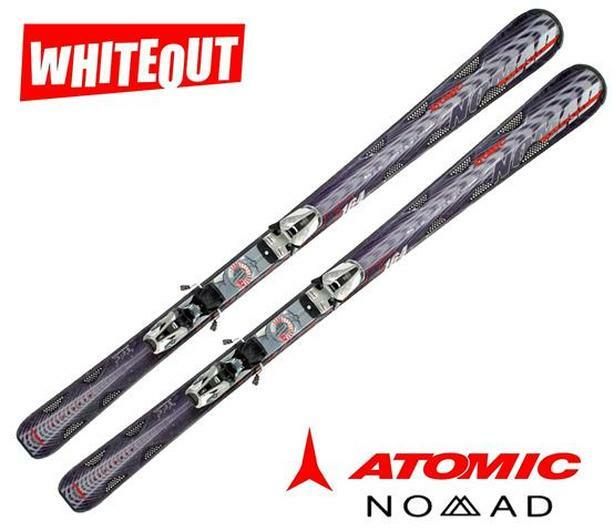 The Nomad Whiteout Ski features Atomic's Torsion and Flex Control (TFC). The innovation of TFC shaves excess weight in the tip and tail, and creates forgiving flex zones. Yet the nano-reinforced backbone puts a stranglehold on twisting so the skis go where you point them, and deliver the unique edge control that is Atomic s' hallmark. The sidecut represents an ideal compromise between turning and stability. Skiing the Nomads shorter will make for even easier handling. The Atomic Nomad Whiteout Skis will help you storm the entire mountain.